The next Open Lecture to be hosted by the Centre for Research in European Architecture (CREAte) will be presented by Sir Terry Farrell on the 4 March 2013, 6pm in Marlowe Lecture Theatre 1. 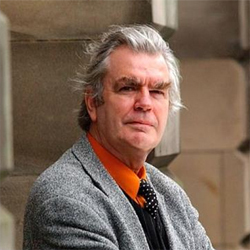 Sir Terry Farrell is Britain’s most distinguished, and distinctive, post-Modern architect. Formerly the partner of Nicholas Grimshaw, he founded Terry Farrell & Partners in 1980 and went on to design some of the most memorable buildings of the era, including the TV-AM building in Camden Lock, The MI6 Building in Vauxhall, and the prominent office building above Charing Cross Station. He has been a major masterplanner for many city centres, including Newcastle Birmingham and Edinburgh, and in 2008 he was appointed Design and Planning Leader for the Thames Gateway, the subject of his talk this evening. Dr Nikolaos Karydis, lecturer at the Kent School of Architecture, has been invited by the Austrian Archaeological Institute to give a lecture on the Architectural Evolution of the Churches of Ephesos from the 5th to the 6th century. The lecture will take place on 25 February, at 5pm, in the Institute of Classical Archaeology of the University of Vienna, Franz-Klein gasse 1/2, Vienna. 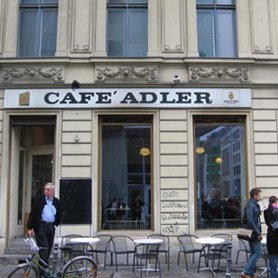 Students of the Kent School of Architecture are also currently in Vienna as part of an extra-curricular field trip. 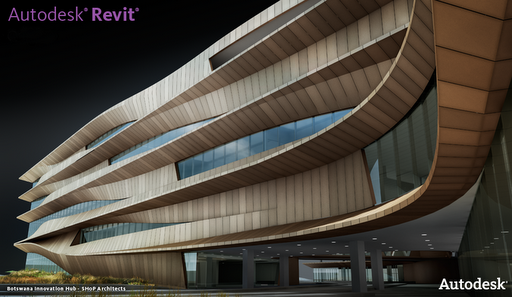 The Kent School of Architecure will be providing lessons in Building Information Modelling (BIM) using AutoDesk’s REVIT software during a week that sees a break from regular timetabled lessons. Primarily directed at Stage 3 students that are approaching the end of their studies this summer, the programme aims to equip them with the skills needed in industry. Further lessons will also be available to students this academic year. The next Open Lecture to be hosted by the Centre for Research in European Architecture (CREAte) will be presented by Flora Samuel, University of Sheffield on the 12 February 2013, 6pm in Marlowe Lecture Theatre 1. The ‘promenade architecturale’ is a key term in the language of modern architecture. It appears for the first time in Le Corbusier’s description of the Villa Savoye at Poissy (1929-31) as built where it supercedes the term ‘circulation’. Taken at a basic level the promenade refers, of course, to the experience of walking through a building. Taken at a deeper level, like most things Corbusian, it refers to the complex web of ideas that underpins his work. 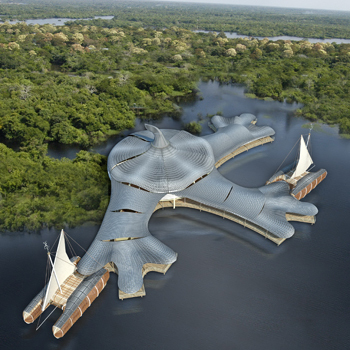 Flora Samuel, an architect and writer, is Head and Professor at the University of Sheffield School of Architecture. She has spent the last fifteen years rewriting the history of Le Corbusier to take into account his interests in nature and women. 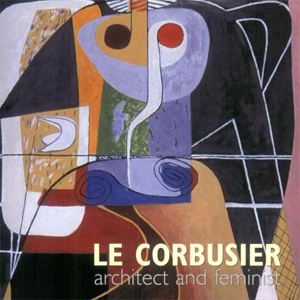 Her analysis is characterised by close attention to architectural detail, the subject of her book Le Corbusier in Detail. Her latest book, Sacred Concrete (with Inge Linder-Gaillard) will be published by Birkhauser later this year. She is very interested in communicating the value of architecture and in improving the way architects express their value, hence her interest in helping practitioners develop their research, for example through her AHRC funded Home Improvements Knowledge Exchange project. Dr. Gerald Adler, Deputy Head of School, will be presenting at the Surface Design Show at the Business Design Centre, London. 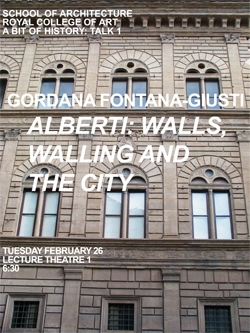 His talk will form part of the popular PechaKucha evening hosted on the 6th February from 6pm. This fast paced evening sees leading architects and designers presenting 20 images, each lasting just 20 seconds! The evening is hosted by Felix Mara, Technical Editor of the Architect’s Journal. Prof. Simos Yannis will be delivering the next CASE lecture at the Kent School of Architecture 6pm, 5th February 2013. Prof. Yannas is the Director of the Environment & Energy Studies Programme at the Architectural Association School of Architecture in London, where he is responsible for the MSc and MArch in Sustainable Environmental Design and the AA School’s PhD Programme. He has been involved in environmental design research and teaching since the late 1970’s, has lectured in many countries and was recently a Sir Isaac Newton Design Fellow in Architecture at Cambridge University. His latest book, Lessons from Vernacular Architecture is due for publication in 2013. His earlier book Roof Cooling Techniques-a design handbook was shortlisted for the RIBA International Book Award for Architecture. A second edition of the Portuguese language Em Busca de uma Arquitetura Sustentavel para os Tropicos (Toward a Sustainable Architecture for the Tropics) was recently published in Rio de Janeiro. Other writings have been translated into a dozen languages. He was awarded the PLEA (Passive and Low Energy Architecture) International Achievement Award in 2001.